AS Pest Control provide an efficient, affordable and professional moth treatment service in Mansfield. Available 24/7 we offer a quick and reliable service to conveniently remove the moth problem. Do I Have a Moth Problem? The Clothes Moth is a significant pest with the larvae feeding on a variety of material of animal origin such as woolens, furs etc. Damage from the larvae feeding can be severe and the larvae are often difficult to detect as they shun the light. The adult female moth will lay between 50 and 100 eggs amongst the material upon which the larvae will feed. Whilst feeding the larva of the clothes moth frequently constructs a loose silken 'shelter' which has attached to its many particles of debris and faecal pellets etc. Once mature the larva pupates. The pupa is reddish brown in colour. Contact AS Pest Control and we can provide a free onsite moth treatment Mansfield quotation. If not treated moth infestations will cause damage to clothing an carpets and will increase in number until controlled. Before any treatment is done it is important to ensure that all areas in and around the infested areas are cleaned. Carpets vacuumed and furniture moved. Infested clothing should be removed to an outside bin and cupboards cleaned out removing all contents. AS Pest Control provide Moth Treatment in Mansfield starting from only £80. Carpets, wardrobes, drawers etc. in the infested and surrounding areas will be treated with insecticide. Following treatment it is important that you do not wash down or vacuum treated areas for at least 1 month or until you stop seeing dead or dying moths or their larvae. Once the treatment period is over it is essential to give the treated area a thorough vacuuming, especially undisturbed areas. Clean rugs, carpets, cupboards and especially anything containing woolens and furs. 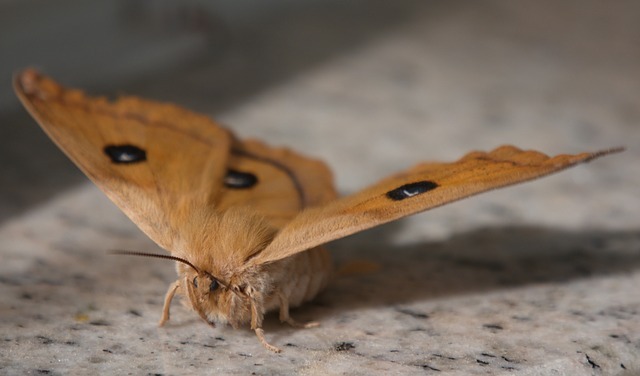 A common cause of moth infestations is from stored offcuts of carpet or bags of clothes. AS Pest Control provide a local, affordable moth treatment solutions for residential and commercial customers in Mansfield, Nottingham, Derby, Chesterfield, Worksop and surrounding areas.